(1) Chinese fir, pine wood board length is 2-6 cm, 5 cm thick. Width is 23 to 25 cm. Rust, rot, splitting, she has activities, partial edge and deformation serious scaffolding to ban the use of plate on both ends of the applied galvanized iron wire hoop around 2 ~ 8 cm 3 laps or use. 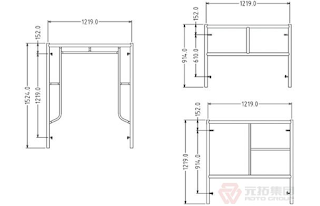 (2) steel plate length is 1.5 3.6 cm, 2 -- 3 mm thick, rib 5 cm high, no less than 23 cm wide. Shall have the connection on both ends of the steel plate, the plate should be non-slip hole is drilled. Every crack, distortion may not be used. (3) the bamboo scaffolding, thickness shall not be less than 5 cm, bolt hole shall not be greater than 1 cm, bolts must be tight, bamboo scaffolding, on both sides of the fleece shall not be less than 4.5 cm in diameter, length, general with 2.2 ~ 3 m width with 40 cm advisable. 6. 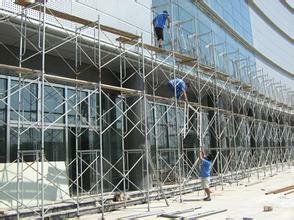 Also called bracing, cross cover, with the stud material specifications of materials. 7. Wood, bamboo scaffold lashing material, should be used for 8 ~ 10, galvanized wire and not less than 10 mm in diameter three-ply white line or scirpus tabernaemontani bamboo, phyllostachys heteroclada hand feet stay fresh texture, toughness is green new water bamboo chopping, thickness of 0.6 ~ 0.6 mm, width is about 5 mm advisable, broken bamboo sticks to, big knot and be affected with damp be affected with damp mildew shall not be used. 8. Steel pipe scaffold connection material should use fasteners, joint should be staggered, bolt to be strong. 9. The fastener factory qualified certification, brittle fracture, deformation, slide is found to be banned. 10. 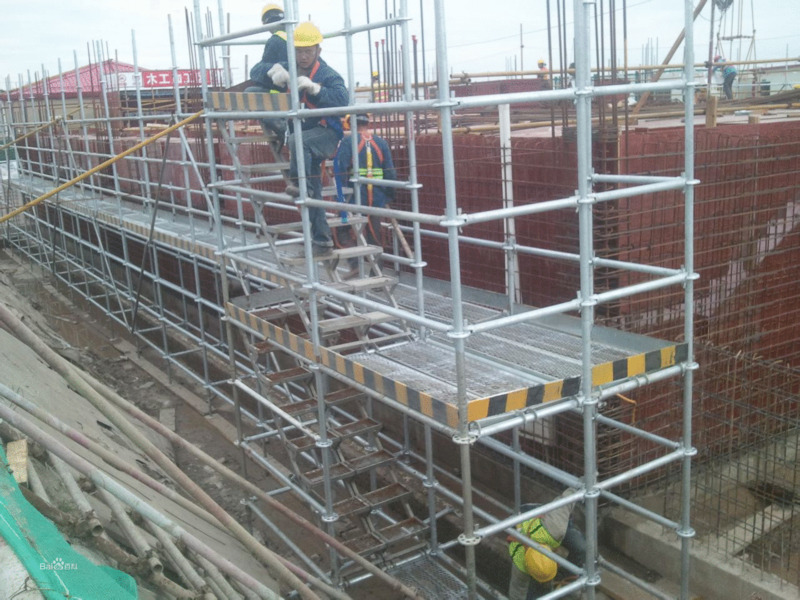 And structure by scaffolding must use double strands of 8 # galvanized iron wire, Ф 6 reinforced embedded ring or with steel tube or structure inside and hold firmly.